Located in Phoenix, AZ and established in 1998, Revolution Tea state they’re creating a stir in the world of beverages, while celebrating what’s real in the world, which is part of their process when sourcing full-leaf premium teas, select herbs and fruit pieces, essential oils and natural flavors. Traditional paper tea bags were a challenge for this tea company, seeing as the quality of their tea wasn’t fully released. Their passion for making sure that every cup is up to their high standards led them to be first in the industry to sell loose-leaf tea in a mesh, flow-through, single-serving pyramid tea bag. With over a decade of experience sourcing ingredients from estates in more than 19 countries and working with experts around the world, this company has established a loyal customer base and dedicated distribution throughout more than 60 countries. Striving to please even the most discerning tea sipper by offering high quality full-leaf tea, Revolution Tea spent years experimenting with teas and blends to develop great-tasting flavor combinations, designed for all palates. They also want their customers to be able to see what their buying, offering several blends in see-through infuser tea bags. 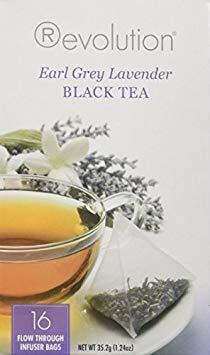 A touch of French super-blue lavender has been added to Ceylon, Oolong and Darjeeling estate black tea leaves along with oil of Bergamot to create a sweetly delicious variation of Earl Grey. The uplifting flavor and aroma is sure to give you a boost in the afternoon or any time of the day. This refreshing blend is made from Bai Mu Dan white tea infused with fresh pomegranate. A light and mellow cup that is brimming with antioxidants, this tea also contains South African rosehips and Chinese safflower petals, which make it delightful when iced. 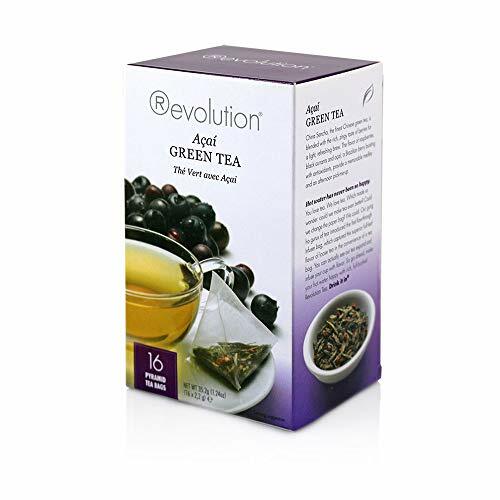 Full leaf Sencha Green tea is blended with berries, resulting in a fresh burst of flavor that is light and healthy. Taste the tang of fresh raspberries and blackcurrants creating a balance of sweet and sour that is enhanced with the addition of Brazilian Acai berries. A great afternoon pick-me-up. 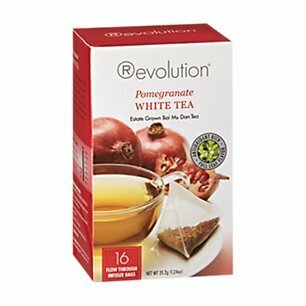 Revolution Tea also sells Iced Tea concentrate and their website includes a blog with articles and recipes. Check out their tea timeline for a fun trip through the history of tea while sipping one of their quality brews.